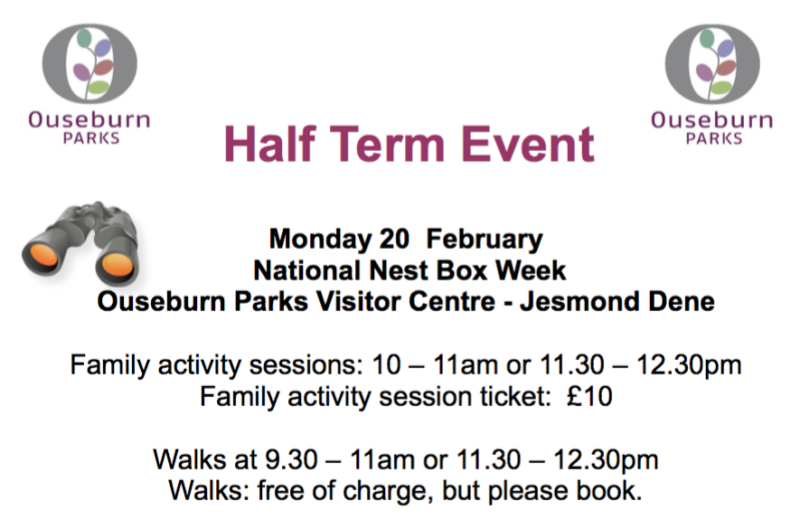 Come and join the parks staff and volunteers on this bird themed day as part of National Nest Box week. You will make a wooden bird nest box, a wooden bird feeder and several other feeders, all to take home with you. Walks at 9.30 – 11am or 11.30 – 12.30pm Walks are free-of-charge, but please book. Please bring binoculars for the walk if you have them, but some will be available if not. Bookings essential for family activity sessions and bird walks. Charge – £5 per child and £2.50 per adult. Come along and carve a pumpkin lantern (pumpkins will be provided) We will then go for an evening walk through the Dene to see what we can find, there may be eyes watching us from all sorts of places!! We’ll return to the Visitor Centre for hot chocolate and pumpkin soup. Minimum age 6 years. Booking essential, please call the Visitor Centre to book your place and for more information on 2812082. 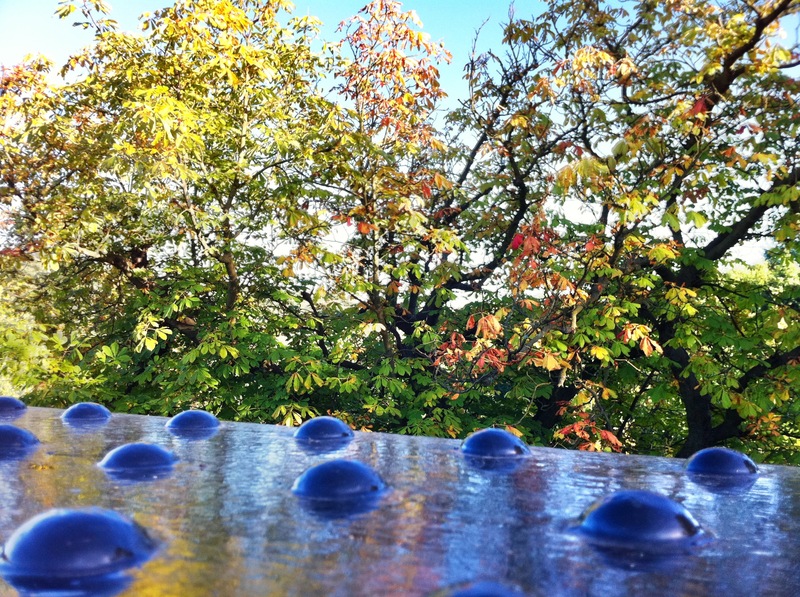 The colder weather is here and the birds need all the help they can get. Why not come and make a bird feeder, and get some tips on easy ways to feed the birds over the winter. Contact the Rangers for more information on 2812082. Come along and make your own Christmas Wreath. All materials will be provided but if you have a pair of secateurs, please bring them with you. Places are limited; book early to ensure your place, 2812082 and for more information. This is an event for adults, so sorry, no under 16s. A joint event with the Volunteers, Friends of Jesmond Dene and the Rangers. Come and try your hand at making some simple Christmas decorations from natural and recycled materials. There will be a charge of £2/£1 for the decorations. There will also be Christmas Carols, light refreshments, tombolas and raffles. This is a drop in event. For more information please contact the Rangers on 2812082. Come along and make your own Christmas Wreath. All materials provided but if you have a pair of secateurs please bring them with you. Places are limited; book early to ensure your place, 2812082 and for more information. This is an event for adults, so sorry, no under 16s. Lord Armstrong, the Victorian industrialist who gifted Jesmond Dene to the people of Newcastle, built Cragside, near Rothbury. There will be a Heritage Open Day at Cragside on 10th September, to which anyone with an Armstrong connection is invited to attend. This site has been uploaded with lots of fresh content and pix. 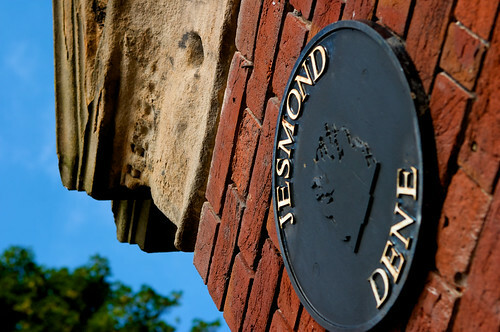 The previous website for the Friends of Jesmond Dene was last updated in 2007 so a makeover was long overdue. The site will be updated regularly. New content will be flagged up on our new Twitterfeed. Go to our Flickr gallery for pictures of Jesmond Dene. If you’re a Flickr member, become a member of this group and add your shots to the gallery. Author carltonreidPosted on July 21, 2010 July 22, 2010 Categories Uncategorized1 Comment on Fresh new look!